Cool music for children that you secretly like, too. Parker Bent has worked full-time as a preschool music teacher for 10 years. He brings his original music to roughly 500 children between the ages of 2 and 5 each week! With over 10,000 live performances under his belt, Parker has honed his natural gifts of communication with children. 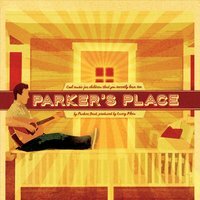 Parker's Place, a gorgeous album produced by 4-time GRAMMY winner Larry Klein, will make you laugh, rock out in the car, and lull you into sweet, dreamy calm.